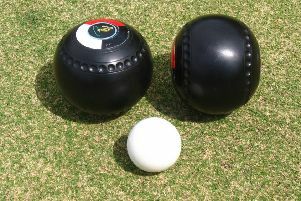 West Lothian have home advantage as they embark on the Cities and Counties Bowls Championship East section campaign today against West Fife at Queensferry. The team continues under the management of Jimmy Mallon and he has introduced Brian Craig of Deans, who is rewarded for winning the West Lothian Masters title. Craig is joined by three recalls in the shape of Commonwealth Games gold medal hero Neil Speirs, the 27-times capped John Aitken and junior cap Andrew Semple. Calum Logan and David Lamb are unavailable for the opening fixture. Rink 1: Ewan Shearer, Brian Craig, Stuart Johnston, Sandy McDougall. Rink 2: John Black, Blair Mackie, James Speirs, Thomas Mann. Rink 3: Steven Forrest, Ian Drysdale, Gary Smith, Raymond Logan. Rink 4: Paul lynas, Walter McDougall, Mark Allison, Neil Speirs. Rink 5: Andrew Semple, Scott McMaster, Gary Orr, Steven Fleming. Rink 6: Drew Paterson, Alec Allan, John Aitken, Grant Logan. Reserves: Ian Robertson, Frazer Muirhead, Jamie Aitken. EAST LOTHIAN have newly-appointed team manager Ian Bell in charge of their 2015 campaign and the opening challenge for ‘the garden county’ is a difficult one against Borders at Melrose. Bell has several key players unavailable to him. Scott Kennedy, Alister Kennedy, Steven Morgan, Stuart Johnston, John White, Jamie Higgins and legend figure Willie Wood cannot play, while Alex Marshall will miss the whole of the qualifying campaign. New faces in the line-up are: Steven White, Craig Bell, Ross Thomson, John Gearty, Tom Young. Rink 1: S White (ELCO), C Bell (Haddington), R Branley (Cockenzie & Port Seton), C Valentine (C&PS). Rink 2: R Thomson (ELCO), J Gordon (C&PS), C Johnston (Gifford), S Cochrane (ELCO). Rink 3: M Greenan (Preston Grange), G Baillie (C&PS), G Blair (Haddington), D Oliver (C&PS). Rink 4: G White (Aberlady), B Dunleavey (Aberlady), S Greenan (P/G), J McCrorie (Tranent). Rink 5: M Osbourne (Tranent), J Gearty (C&PS), T Young (Dunbar), B Young (Tranent). Rink 6: M Riding (Elphinstone), W Cormack (West Barns), C McLeod (Gifford), B Mellors (West Barns). • EDINBURGH & LEITH launch their defence of the Under 25 Scottish League Cup tomorrow and the holders face a tough test away to Midlothian at Dalkeith (2.00pm). Duncan McLaren of West End is the new manager in charge of team affairs. Rink 1: Paul Archibald (Willowbrae), Murray Baillie (West End), Steven Rennie (Parkside), Neil Watson (Parkside). Rink 2: Andrew Tregonning (Pilrig), Robert Ewing (Gorgie Mills), Kerr McKail (Summerside), Jamie Reid (Northern). Rink 3: Jason Ronaldson (Sighthill), Euan Martin (Gorgie Mills), Liam Mackay (Tanfield), Stephen Pringle (Carrick Knowe). Rink 4: Mark McIntosh (Maitland), Jordan Davidson (Queensberry), Ross Byers (Colinton), Daniel Gormley (Craigentinny). Rink 5: Cameron Tennant (Carrick Knowe), Dale Randall (Mayfield), Ross Thomson (Mayfield) Ross Noble (Maitland). Rink 6: David Torrance (Craigentinny), James Barr (Dean), Gavin Rogers (Summerside), Josh Spalding (Craigentinny).